the application the board freezes. This is why God invented ICE debuggers. I would never contemplate working on a bootloader without an ICE to see what's going on ! AVRs never really "freeze" (well not unless they execute the SLEEP opcode) so the likelihood is actually that it is held in some kind of conditional while() loop waiting for some even that never occurs. An ICE would let you break execution and find out where it is "stuck". My first job out of college, for a mainframe manufacturer, one of the first things I was taught "When the lights stop blinking, the computer stops thinking". An ICE would let you break execution and find out where it is "stuck". Set up the watchdog for interrupt mode. When it fires, dig out the come-from address off of the stack and log to EEPROM or whatever. When it fires, dig out the come-from address off of the stack and log to EEPROM or whatever. Me? I think I'd just buy an ICE (or I would if Atmel hadn't already sent me 3 or 4 - not to mention the ones on myriad Xplained bords they've also sent). Sure you can, you will need to init T1 as you see fit to do. All that code does is reset the T1 back to default values before running your sketch. Edit: Ok, I have no idea what happened to the message I was replying to ??? which is the right start location now ? 32k bytes, but flash is word addressed, =16k words! Divide all byte address by 2.
what is the reason fro that? You're still getting confused between byte-addresses and word-addresses. Which device? Your ISP programmer? Or the 32u4 as a USB-reachable bootloader? If you've messed up the bootloader, you won't see it in the device manager. AFAICT, you never actually initialize the do_spm_N pointer to point at your actual function. The usual "problem" with calling functions in the bootloader from the application is that they are NOT "linked" together, and the application has no way of knowing exactly where in the bootloader section the "do_spm" function lives. The GCC compiler and accompanying tools on the other hand is a generic compiler for a load of different micros and other CPUs. To have a common base it does EVERYTHING in terms of bytes. That is also true of all the addresses in all the ioXXX.h headers in AVR-LibC. That too uses BYTE addressing everywhere. The confusion arises because Atmel have chosen to bundle GCC with their IDE so some parts are word-centric and some parts are byte-centric. You possibly see this most clearly when you use the "Meomories" section in a project to set a flash address. Atmel invite you to entry the address as words so you may enter 0x1234 but when this is actually passed to the linker as -Wl,-section-start=.something=0x2468 where the 1234 values is seen to be doubled as Atmel have applied a word to byte conversion on it. Oka great you brough a very important point, that i have been wondering about for a while. The only time you need asm() is when something is SO timing critical you cannot afford the CALL/RET overhead to access it. 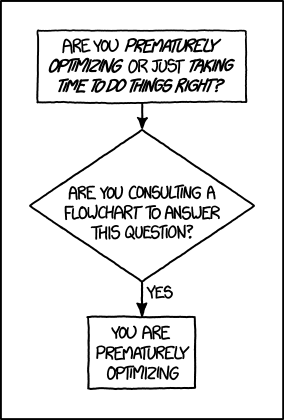 Otherwise .S files are a MUCH easier answer. This does, of course, rely on the bootloader never wanting to use interrupts and specifically never wanting to use INT0. OTOH maybe the whole thing is built with -nostartfiles anyway?? SO how can i added to my code when I build, do i uses something like include file, I build useing a makefile not the atmel studio. what is "SPM" , and "ret" refer too? then you write the Asm code after that. You'll need to learn AVR Asm first. if you want to interact between Asm and C code then the Asm has to be written to follow the Application Binary Interface (ABI) of the GCC compiler. (things like first function parameter in R25 and R24 etc). Surely if it's a 32U4 you want to use a DFU bootloader not a UART one like Optiboot? The whole point of buying a 32U4 is the USB so you might as well use it! Yes true, that is exactly why choose it. I am using Caterina and the LUFA project together to take a advantage of the USB , and it came out very nice-except that the eeprom is too small for the data we need. so we trying to explore the idea of using the flash memory to save the data. So Caterina is a USB based bootloader is it? If so then surely you can just make its own SPM functions visible to the app code and call those ? Just isolate the call to boot_page_write() into a separate function and then you can also call that from your app code (if you can pass the address of where it is). boot_page_write (BMem_address);     // Store buffer in flash page. 1) I highly doubt that this is the correct address. You can't "give" it an address from within the application (I already told you in #20 that all the .bootloader stuff in the OP is nonsense). For this function pointer approach you need to find out the actual address where the function got located in the bootloader. 2) For this function pointer approach you need to use the word address (again, I already told you that in #20). I can't see any relocation of the function there. And you can't put it at 0x7000 (where the bootloader starts) anyway. Well, first of all, I didn't write this code. It was written by Marek Wodziński ("Majekw") I just played "gatekeeper" on the official Optiboot page. 2nd, simple code like the above won't work because SPM requires those "timed write sequences" where you write some code to SPMCSR and then do the SPM within four clock cycles. CALL is a 4-cycle instruction; I don't think it would work to have just the SPM be callable. We can probably blame the avr-libc authors for that. There is lots of inline ASM in the boot.h file. very simple stuff, like insertion of a particular instruction. (like these vectors, actually.) Not much to learn, so I don't see why to avoid inline asm. relatively complex stand-alone functions (say, like the soft-uart functions in optiboot.) These would be a lot cleaner in their own .S file. asm that interacts in complex ways with the C code (accessing local variables, maintaining register optimization, etc.) Really annoying, and this is where you call up the tutorial on one page, while you write your code in another. PS I still don't understand why Bill would have you do this anyway? I'm missing something. Is "Bill" one of the players in this comic tragedy?